This October, the career of rock icon Ozzy Osbourne will be celebrated with the Epic Records/Legacy Recordings, Memoirs Of A Madman, collections. 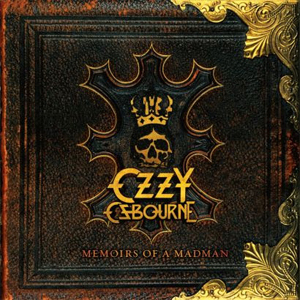 Design a poster inspired by Ozzy Osbourne and his new release Memoirs Of A Madman. One winner will receive $500 and an Ozzy Osbourne prize pack. 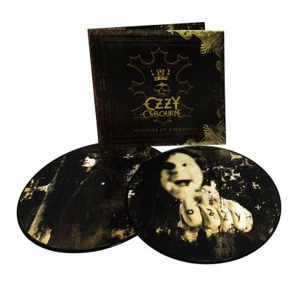 Ozzy will select the winner himself and the winning design will be featured in a Limited Edition Fan Bundle to accompany the release. Suggested theme and style guidelines: They are looking for poster art inspired by the Madman himself, Ozzy Osbourne. Feel free to design whatever Ozzy and his music inspires you to create. You may also use the song titles, lyrics, or album title from Memoirs Of A Madman for additional inspiration. More contest rules and specifications can be seen at CreativeAllies.com. Osbourne's ongoing solo career spans four decades--as both a successful solo artist and as the lead singer of BLACK SABBATH - and his music is as relevant today as ever; it still resonates daily on TV, in movies, on radio and at stadium sports events. 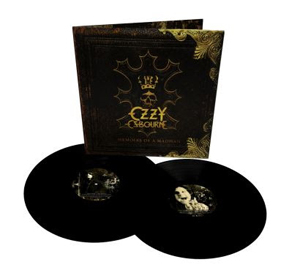 Ozzy’s latest solo release - his tenth studio album, 2010’s Scream - debuted at #4 on the Billboard charts, featuring the #1 Mainstream Rock smash, “Let Me Hear You Scream”. From the first notes of Ozzy’s 1980’s solo debut Blizzard Of Ozz and follow-up Diary Of A Madman to classic albums No More Tears and Scream, no hard rock solo artist has had quite the same reach as Ozzy; his distinctive vocal delivery and larger than life onstage persona quickly endeared him to millions of rockers. Ozzy immediately had the attention of fans of heavy music with rock staples “Crazy Train”, “Mr. Crowley” and “Flying High Again”. With the 1991 release No More Tears, Ozzy continued his radio success with acclaimed and hugely successful singles “No More Tears” and the smash hit “Mama, I'm Coming Home”. 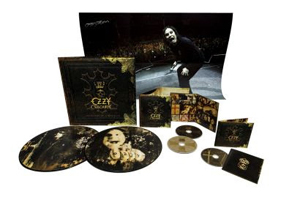 DVD One features more than two dozen of Ozzy’s classic and unforgettable music videos from across his discography, including a bonus alternate version of “Mama, I’m Coming Home” and making-of footage from the videos “Let Me Hear You Scream” and “Life Won’t Wait”. The Making of "Let Me Hear You Scream"
The Making of "Life Won’t Wait"
Ozzy’s Bunker - Albuquerque, NM 1982 "Over The Mountain"
MTV 1982 - New York, NY 1982 "Fairies Wear Boots"
"Thank God For The Bomb"
Marquee, UK 1991 (Zakk Wylde, Mike Inez, Randy Castillo) "Bark At The Moon"
"I Don’t Want To Change The World"
Ozzy’s Bunker "No More Tears"
MTV 1992 "Mama, I’m Coming Home"
Ozzfest 1996 (Joe Holmes, Robert Trujillo, Mike Bordin) "Perry Mason"
Tokyo, Japan 2001 (Zakk Wylde, Robert Trujillo, Mike Bordin) "Gets Me Through"
Philadelphia, PA 1989 (Zakk Wylde, Geezer Butler, Randy Castillo) "Flying High Again"
Tokyo, Japan 2001 (Zakk Wylde, Robert Trujillo, Mike Bordin) "Believer"